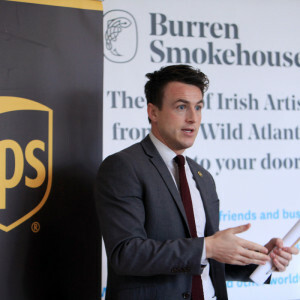 Andy Smith – Country Manager UPS Ireland speaking at the UPS/Burren Smokehouse customer event. Photograph by Yvonne Vaughan Photography. 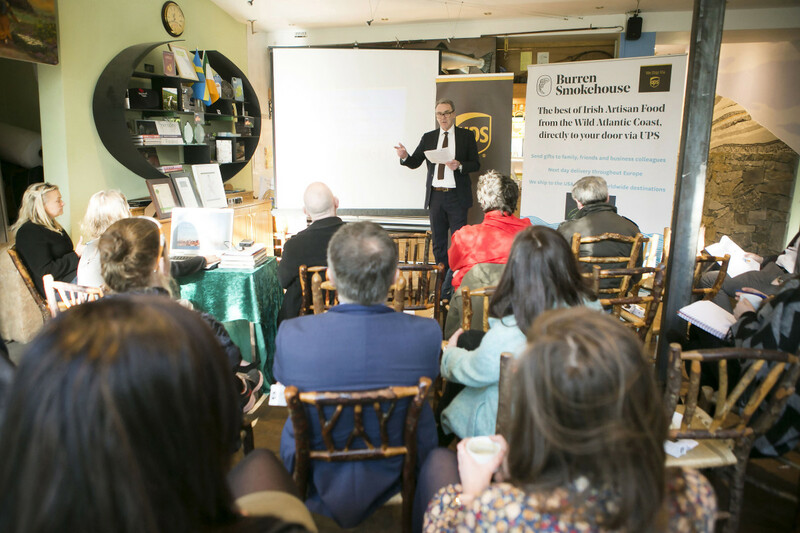 An event featuring expert advice and solutions for small business owners on how to grow their footprint internationally, took place at the Burren Storehouse, Lisdoonvarna this week. 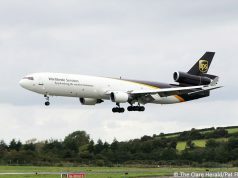 Helping Small Businesses Go Global, hosted by leading global logistics company UPS and The Burren Smokehouse, presented companies with an opportunity to hear from UPS experts and how their collaboration with The Burren Smokehouse has helped the family-run Clare business to capture the full benefit of growth opportunities abroad. 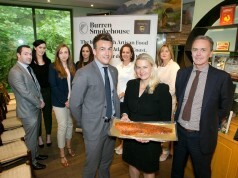 Andy Smith, Country Manager, UPS Ireland and Birgitta Hedin Curtin, Burren Smokehouse owner, were on hand to provide tips and discuss the resources available to support new and early stage exporters. 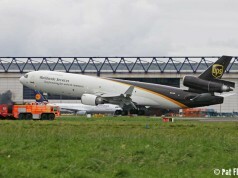 Local business operators were also able to speak with the UPS team about their business and the steps that are required to improve customer experience in the domestic and global market. 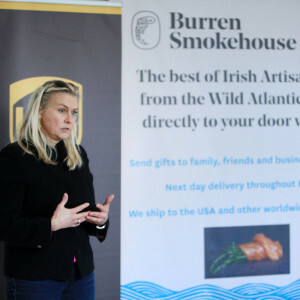 The Burren Smokehouse signed a contract with global logistics company UPS in August 2015 as part of plans to broaden its overseas footprint and to ensure the Lisdoonvarna company’s products sold online can be efficiently delivered to their customers in Ireland and overseas. 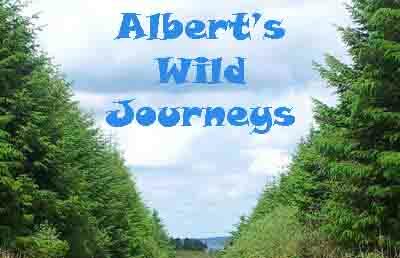 The deal coincided with an announcement by the producer of Burren Smoked Salmon, Trout and Mackerel products to invest €150,000 in its existing operations and to create new jobs at its production facility in Lisdoonvarna. 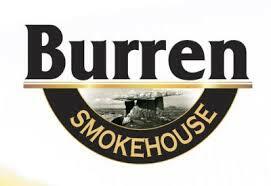 Burren Smokehouse Ltd. was set up in 1989 by Birgitta and her husband Peter. 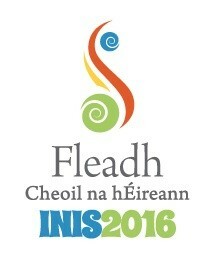 The company sources 100% Irish quality raw materials for its Burren Smoked Salmon, Trout and Mackerel products. 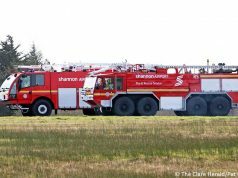 The Smokehouse currently employs a staff of 18, and ships Burren Smoked Irish Organic Salmon within Ireland and to countries all over the world. 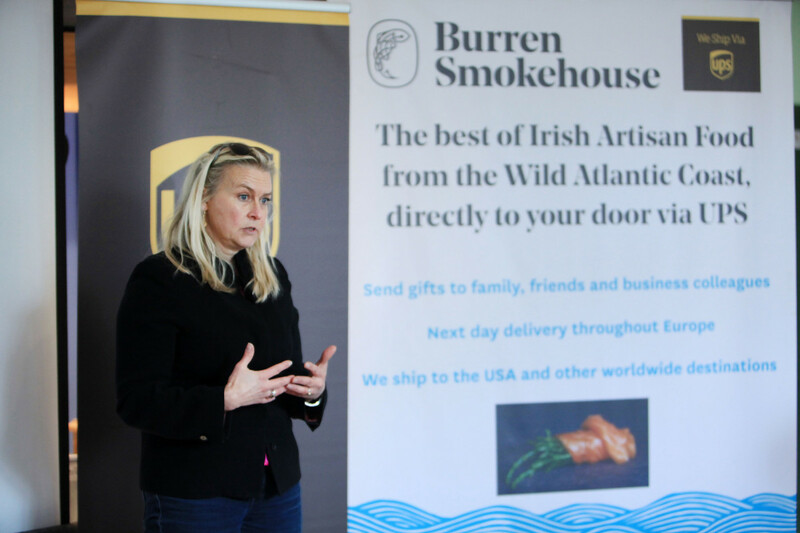 Birgitta Hedin-Curtin of the Burren Smokehouse speaking at the UPS/Burren Smokehouse customer event. 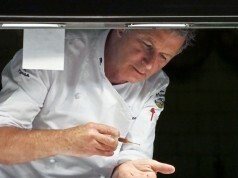 Photograph by Yvonne Vaughan Photography. 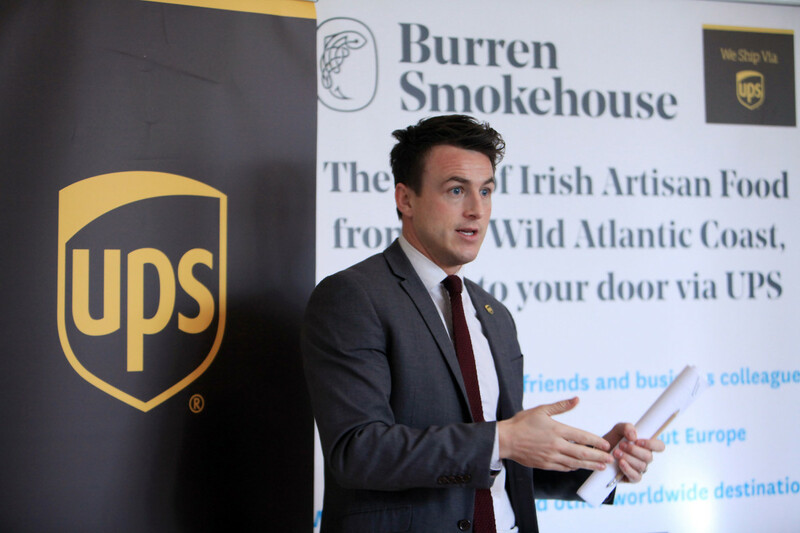 Christopher Deans – Country Sales Manager UPS Ireland speaking at the UPS/Burren Smokehouse customer event. 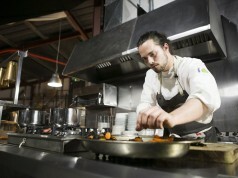 Photograph by Yvonne Vaughan Photography. 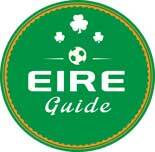 Andy Smith – Country Manager UPS Ireland speaking at the UPS/Burren Smokehouse customer event. 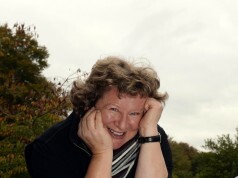 Photograph by Yvonne Vaughan Photography.